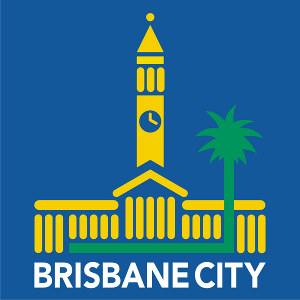 Fencebuild are Colorbond® Steel Fencing specialists and with quality material and years of experience, a genuine Colorbond Steel fence from Fencebuild is not only a sensible choice but also a smart one. 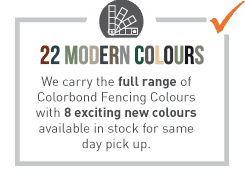 Our huge range consists of stylish and durable boundary fencing with 22 colour options to match your projects style. Boundary fences are one of the most visible features of any build and are also a significant investment for both you and your neighbour. It is also the most exposed to the elements, so it’s important you select a fence that is attractive, strong and designed to last. 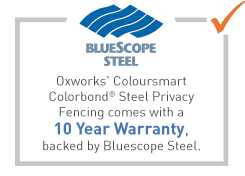 Our Colorbond Fencing range is supplied by Oxworks, Australia’s largest manufacturer and supplier of quality aluminium and steel products. Their huge range of in-stock Colorbond products and custom manufacturing capability guarantees your project will be delivered on time and on budget and their industry leading 10 year warranty gives you peace of mind. 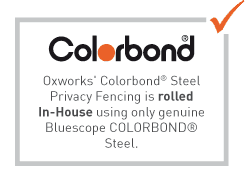 Not all coloured steel fencing is made from Colorbond® Steel so be sure you are insisting on the best. Our Colorbond Steel Fencing designs look great from both sides, and won’t warp, rot and discolour like inferior steel fencing products or traditional timber fences making it the ultimate low maintenance boundary fencing option.